Debt is an unfortunate fact of life for many people living with schizophrenia. An episode of schizophrenia can make it very difficult if not impossible to manage your finances well. In fact in a recent survey by the MoneySaving Expert website it was found that around 36% of people with mental health issues have severe or crisis debts compared to around 6% of the general population. This finding is important to people with schizophrenia because it shows us how vulnerable we are to debt problems if we let them get out of hand and also that it is possible to live a prudent lifestyle in which debt need not be the dominant feature that sadly it is for many. When you are well it is vital to run your affairs well to avoid a legacy of debt and a poor credit record that may take years to overcome. In addition debt is a major source of stress which needs to be avoided if you are to stay well in the future. It is however one that, with canny financial management, you can avoid. If you are already in debt and having problems with it then our information sheet on Dealing with Existing Debt may help. Otherwise read on for information on how to keep your finances in good order and avoid debt in the first place or how to revamp your finances if you are in the position of having just gotten over bad debt problems. If you are worried that your financial affairs may get out of control when you are experiencing an episode of schizophrenia then it may be time to consider making a Lasting Power of Attorney. This is a legal document that gives another person (called the Attorney) who you trust, the authority to look after your finances when you are unable to do it yourself. In it you can specify who will be responsible for your finances and what authority they will have e.g. will they have access to your bank accounts or the power to pay your bills. You will also specify at what stage of your illness they take over. You should only select someone who you trust completely for this role and of course you should discuss it with them at length to make sure that they understand what is involved and what will be required of them. A Power of Attorney must be registered with the Office of the Public Guardian and should be drawn up by a solicitor as it requires a good deal of legal expertise. The solicitor will charge for this. However if you have had problems in the past with debts which have arisen because of your illness you may find it a small price to pay for the stress and inconvenience that comes with gross indebtedness. You can read more about making a Power of Attorney on the .Gov website. If you are finding it difficult to manage financially then it may be because you are not budgeting your money well. However it may also be that you are not living within your means i.e. that you are spending more than you have coming in. In this case look at trying to increase your income or reduce your spending (or preferably both). If you are currently in work then check out your entitlement to in-work benefits such as Working Tax Credit which is paid by HM Revenue and Customs, Housing Benefit and Council Tax Benefit which are both paid by your local authority. If your mental health affects the amount or type of work you can do or involves you in health-related expenses (for instance for counselling or travelling to group therapy) then you may be able to make a claim for Personal Independence Payment even when you are working. This is a regular sum of money paid by the government to disabled people to help them cope better with their disability. Remember that prepayment certificates are available from the NHS which will help reduce the costs of your prescriptions. In the UK, for people receiving certain state benefits, prescriptions are free of charge. If you are working then you may have to pay for your prescription although this may not apply if you are receiving Working Tax Credit. The current cost of a prescription (November 2015) is £8.20. However you can buy a prescription pre-payment certificate for three or twelve months that may save you money. The 12 month certificate costs only £104 and so saves you money if you need 13 or more items during the year. The certificate can be paid for in monthly instalments by direct debit. See the NHS Choices website for more details or ask at your chemist. If you are working but on a low income you may also be entitled to help under the NHS Low Income Scheme. If you are not currently working then review your current income from benefits to ensure that you are claiming all that you are entitled. It may also be time to think about some part-time work. Half a day a week washing dishes in a restaurant may not sound glamorous but it will be a very useful top up to your benefits and will increase your disposable income to enable you to afford a few more luxuries. But remember that there are strict rules about working while you are claiming certain benefits so discuss this with the Jobcentre first. Carry out a detailed review of your spending by keeping a record of every penny that you spend over a complete month. At the end of the month compile a list of all your spending and ask yourself whether each item is necessary or if there is any way that it can be gotten for less. ·	Ask at your local library or search on line to find out about energy efficiency schemes in your area that will reduce your heating costs by improving the insulation in your home. Some energy companies also have schemes to help their customers better insulate their homes. Have a look at the Energy Saving Trust website for ideas on how to reduce your energy and water use. A Smart meter will help you control your energy use. (Image: British Gas). 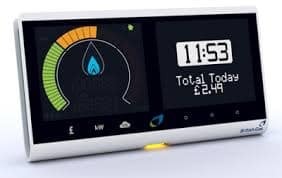 ·	Ask your energy supplier about having a Smart Meter like this one by British Gas installed which will help you to monitor your energy usage. ·	Buy a cookbook and start cooking for yourself. By cooking for yourself rather than relying on ready meals you will reduce your food bill by about 25%. Similarly taking a packed lunch to work rather than buying a lunch during the day will help keep your costs down. ·	When shopping for food always make a list of what you need before you go and never shop when you are hungry. 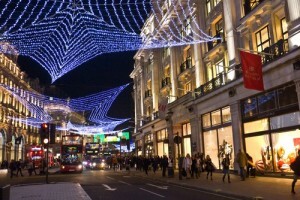 ·	Shop around for better deals on your energy, TV and ‘phone suppliers. Comparison websites are useful here but don’t limit your search to the companies that they promote. ·	Avoid prepayment meters for gas and electricity if you can as they cost more in the long run. ·	If you are on a low income think carefully about giving to charity. There is no point in supporting a good cause if you then need to rely on the local foodbank yourself. Instead you could think about volunteering options if you want to help out. ·	Plan your meals at the beginning of the week so that you get the best value from your shop and avoid throwing away food that has gone off. ·	If you are not already on a water meter then ask your water company about one. For single people living on their own they will usually reduce the water bill. ·	Cut down on your smoking. 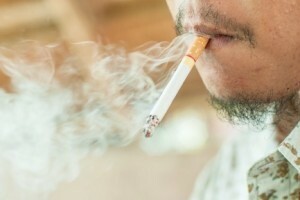 People with schizophrenia tend to smoke more than the general population. Not only is it bad for your health but it is also very bad for your finances. ·	If you have a garden then buy or borrow a gardening book and think about growing some of your own food. Learning how to grow vegetables can be fun, is good physical exercise and if you have access to a large garden you can grow up to 10% of your own food. If you are really keen you could also enquire at your local council about allotments in your area. Learn how to budget and set aside a regular time each week to check your bank balance, pay outstanding bills and budget your spending for the following week. There is useful advice about budgeting on the Money Advice website. Get into the habit of checking your bank balance often. Telephone, on line or mobile banking facilities will give you better control over your finances and enable you to respond more quickly if you do go overdrawn. Use direct debits to pay regular bills such as rent/mortgage and utilities. Try to preserve your credit rating as, without a good credit score, you will not have access to the lowest cost banking facilities and credit will be more difficult to obtain and will inevitably cost more. Check your credit record at least once a year by requesting it from one of the credit reference agencies such as Equifax. This usually only costs a few pounds. When budgeting try to keep a minimum balance of at least £100 in your account as a margin of safety. This may take a little practice but is achievable in time. Get used to treating that money as dead money. It will help prevent you from going overdrawn and attracting charges from the bank for unauthorised overdrafts so will pay for itself over time. Don’t have large credit limits on your credit cards. Keep your credit limits to just a bit more than you normally spend each month. There is no point in having excessive credit limits: they can lead to debt problems and will affect your credit rating. Learn to prioritise your spending giving top priority to bills associated with your home such as rent/mortgage, service charges on your home and Council Tax. Next come your work expenses such as travelling to work, meals etc,. Then basic living costs such as electricity, gas, ‘phone, water and food. Make sure that you cover all of these expenses before spending on anything else. Try to keep some money for a rainy day. It is a good idea to save into a separate account on a regular basis so that you have a reserve of money to meet any unexpected large bills. Try to save for special events like Christmas and holidays. Don’t be tempted to get into debt to pay for them. Avoid credit. All credit costs money and loans, even cheap ones, have to be paid back eventually. Try to pay for large items by saving for them rather than getting into debt. Some types of credit such as payday loans, hire purchase and mail order catalogues are extremely costly. Avoid these like the plague as they can often be the start of larger debt problems. If you have a credit card then get into the habit of paying off the balance in full by the due date. If possible set up a direct debit to pay the balance off each month but if this is not possible then at least set up a direct debit to pay off the minimum monthly payment in order to avoid late charges. If you can afford it try to make sure that you are well insured. Unexpected large bills such as from car accidents or home emergencies like fires and floods can be crippling if you don’t have insurance to back you up. The content of this information sheet is based on the author’s personal experiences. 1. Provident Living and Guide to Family Finance, Church of Jesus Christ of Latter Day Saints (Mormons) Although this is a religious source it contains some very practical advice for running your finances sensibly. Copyright © December 2015 LWS (UK) CIC.